None of my empathy or sympathy can give Lola her life. There’s not enough shouting I can do that can bring Tizon back to give answers. There’s not enough money to offer Lola’s family any relieft. And there’s nowhere I can go where I’m far enough to stop seeing a wordsmith who helped prevent my sense of self from being dragged into the mud. I don’t have all the answers and I don’t think I ever will. All I know is that all my heroes are dead. 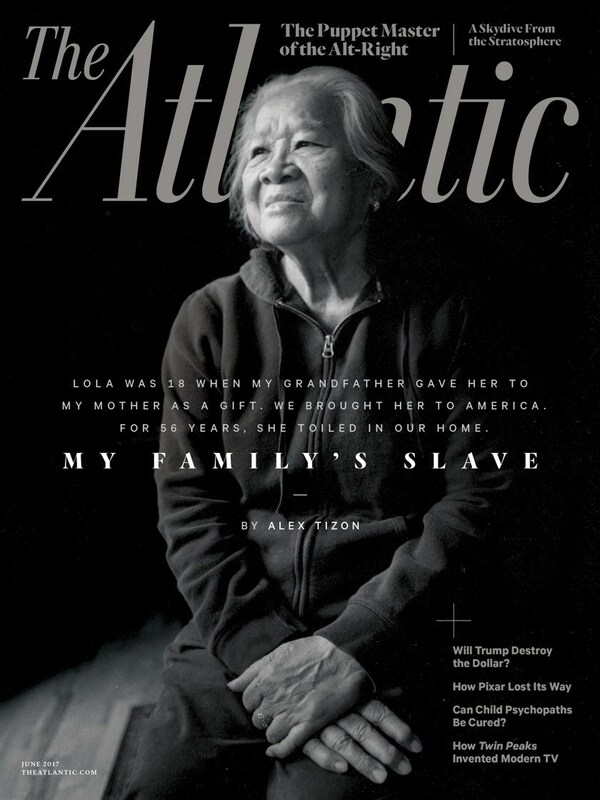 "It must be acknowledged that exposing a child to domestic violence is a form of abuse with lifelong effects; Alex witnessed Lola’s mistreatment as a constant presence in his youth, and clearly struggled with that legacy for the rest of his life. Although he did not recognize himself as such in “My Family’s Slave,” he too deserves our sympathy as victim. A child has no choice but to comply with their parents’ abusive behavior—must comply in order to survive. That normalization of and forced complicity with violence creates a sense of self-doubt and helplessness which does not magically vanish in adulthood. The criticisms of Alex’s decisions have not acknowledged this crucial dynamic, and it’s not something easily understood unless one has lived it." ...my Mom was my Auntie’s servant. They met because my mom was a maid for my Uncle’s family — her wealthy, distant relations — and after he married my Auntie, my mother was given to them as a gift. Much like Eudocia Pulido was given, as a young woman, to Alex Tizon’s mother. My Mom, who was perhaps fifteen years old at the time, became the yaya of the couple’s young son. And though her life shared similarities with Pulido’s, my Mom’s path was also different. Her new ‘employers’ allowed my mother to continue going to school. She ate dinner with the family but slept on the floor. She became my Auntie’s confidant and was, according to my Mom, treated as a member of the family. A lesser member, but a family member nonetheless. Our family arrangement was not something that I ever really discussed or questioned as a child, even though I did not know any other families who lived the way we did. It was just like the air we breathe, something we took for granted. But I would be lying if I said it was all just lovely and pain-free, that there were no problems. My mother and I were not treated like slaves at all, far from it, but there were subtle things, clues that told me that my mother and I were not quite the same as my Auntie and Uncle, or my cousins. The hand-me-downs. Dolls and other toys, clothes and shoes. I would eye my girl-cousin’s nicer dolls and prettier dresses, wondering when she would tire of them so I could have them for myself. I didn’t always get the things I wanted, and sometimes got stuff that I thought was ugly or stupid, and didn’t understand why I was still supposed to act thankful for these unwanted cast-offs. Tizon’s own essay demands the comparison to American slavery and its legacies. His story joins a tradition that began with what’s known as “the faithful slave narrative,” morphed into the dominant “mammy” ideal by the later 19th century, and has persisted, to the present day, through mainstream popular culture and in stories of black caregivers whose deep love for the white children they cared for transcended the cruelty and coercions of their circumstances.